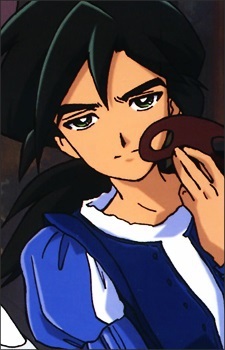 Fakir is the Knight of the story, and works through life watching over Mytho to protect the Prince as planned. He is purposely cold and rude near the beginning of the series in an effort to focus solely on Mytho, and also tries to sabotage Princess Tutu to give back the Prince's heart pieces. While this was all an intention to protect his friend from the normal course of the story, by Mytho's wish to gain back his heart, his attitude is renewed. His role is very clear in the tale, the Knight is supposed to face the terrible Raven in an effort to guard the Prince; however, he is meant to die without laying a hand upon the monster. Fakir goes out to prove himself that the ending doesn't have to be as so, and as such, is at a loss of what his purpose is afterwards.